As the days passed, humans became even more nasty and wicked. This made Zeus very angry. He decided to defeat them all, including Prometheus, the Titan who created mankind. 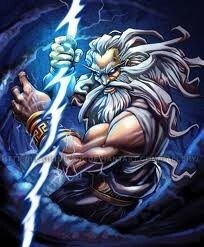 Prometheus was warned that Zeus was going to cast a flood on the entire Earth. Prometheus&apos;s son and his wife were both put in a wooden chest until the flood, which lasted nine days and nine nights, and left only Mount Parnassus and Mount Olympus untouched.The wooden chest landed on Mount Parnassus. Prometheus&apos;s son Deucalion and his wife Pyrrha emerged to find the Earth littered with dead bodies. They thanked the God&apos;s for saving them, and Zeus told them to throw their mother&apos;s bones over their heads. Deucalion understood and threw some stones behind him. These stones represented Mother Earth&apos;s bones. The next race of people was born from the stones that Peucalion and Pyrrha threw.